I have ploughed the web, books but to no avail. 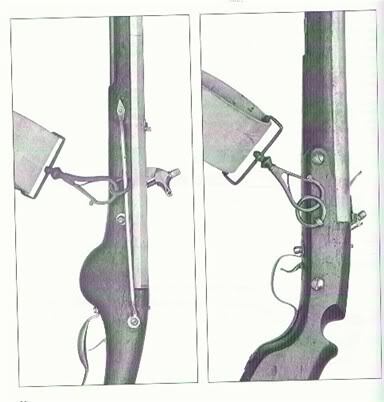 i'm looking for methods in which matchlock/wheelock carbines were suspended by light cavalry or by carabineers? So far I have come across 2 methods which are not pictured but discussed. 1 is a baldric with a open leather bucket. 2 is again a baldric but the gun is is clipped to the baldric via a steel clip release. both hang at the waist. Both methods seem acceptable, but I do not wish to go ahead and make it without either a primary or a secondary source. 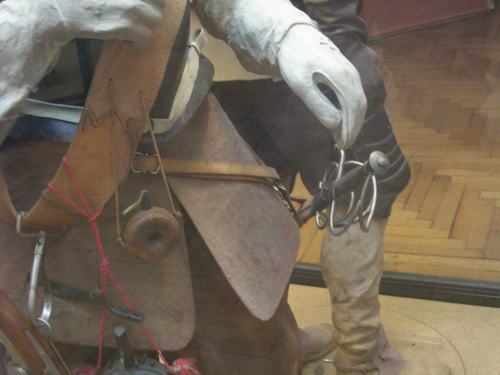 I have found many paintings and other forms of art depicting the baldric, but the suspension is usually obscured by a arm or the picture is way to small to define the equipment. Allot of the time, light horse are shown with no gun and they have sword baldric and hanger. Ok if anyone has any info I would greatly appreciate it !!! PS...Im pretty new to 17th c reenactment. I have looked at many pictures of Polish light cavalry, but to no avail! across with these photos which shows the carbine being clipped in different fashions. 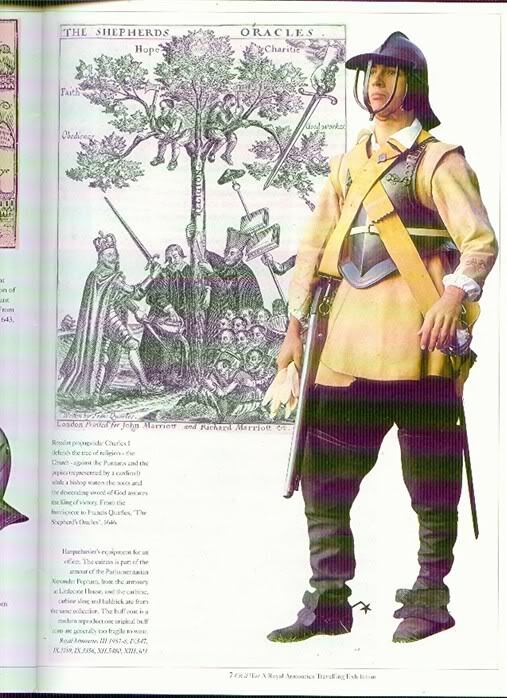 The first image is from a booklet from the Royal Armouries on a ECW exhibitition and the second is from David Blackmore's book - "Arms and Armour of the English Civil Wars", amust have book fo anyone interested in this time period. That seems to be a common setup. I've seen it on a mainque in a museeum in vienna too. I was poking around for some images, but there is no need, the above shows everything you need. Most cavalry guns I have seen have either the bar or a ring as shown. In my opinion, the bar works the best. It allows the best range of movement when attached, "shoulerability" and whatnot. Probably won't be that much help since it doesn't add much to the discussion and pictures already in this thread, but I'm putting up the link anyway just in case. Those are great pics and info! I can now set about making it.....Also the loop on the musket! Everything I need to get started.